More evidence is mounting that Apple is serious about glucose tracking, with a new report claiming Cupertino is working on non-invasive methods that it will implement into a future Apple Watch, possibly the Series 3. Now, we recently reported on a separate report claiming Apple was up to as much, and will still be astounded if Tim Cook and co have really found a way to do accurate glucose tracking without poking anything into people's skin. What makes the new report from BGR interesting is the mention of smart bands, something we know Apple has been interested in from the patents we've dug through. According to BGR, quoting an anonymous source in the know, Apple will use these smart bands to provide more features of the Watch, from health tracking to anything else you can possibly think of. The question is whether this will be how Apple introduced its glucose tracking, rather than putting it into the Watch casing. This would circumvent the need to expose a glucose-tracking Watch to the FDA, as BGR speculates, and have it probably leak out ahead of launch. It may also live in a strap because that's the best way it can lock an accurate reading, or because it will free up space in the Watch for other stuff. After all, not everyone will want to track their glucose, but it would offer something amazing for diabetes sufferers if Apple has really cracked the non-invasive technique. BGR's source "indicates" that Apple has hired 200 PhDs in the past year to focus further on health, so who knows what else we might see pop up. 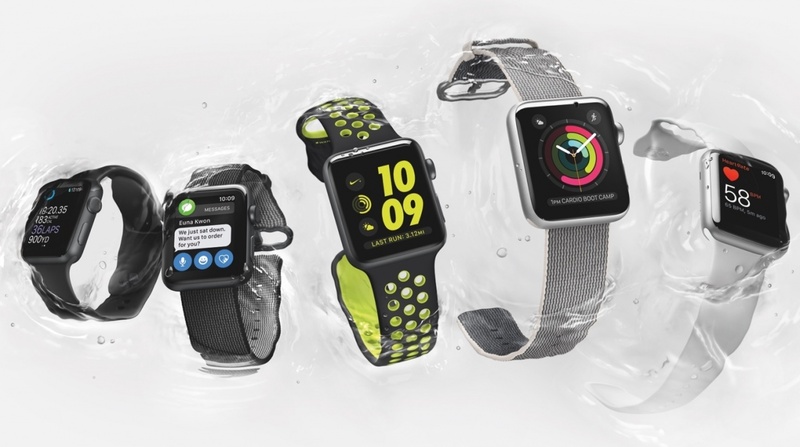 The source is quoted as saying Apple has "identified the right part of the body and there's so much more they can and intend to do with the watch." Start your guesses now. There's no guarantee any of this will be for Apple Watch Series 3, of course - none of the report so far have claimed as much - but there's a strong case building to support the theory Apple wants its Watch to be the ultimate health companion.